I highly recommend Moni as a real estate agent. She is very approachable and friendly to work with. She has good expertise in real estate and home loans, She thoroughly understands the mortgage process. She was really helpful in highlighting the important parts throughout our home buying experience. She was very helpful in each & every phase of our home buying process. We were first home buyers and were new to the process. She was patient and showed us different kind of properties. This helped us in understanding the market better. She had good knowledge about the property and its location. During closing, she explained the process in simple terms. Overall she made our home buying experience smooth and pleasant. Moni has good contacts and helped us in securing a loan. I highly recommend working with Moni. My husband and I decided to sell our home. Our circumstances surrounding our move would of been a challenge for any realtor to say the least. So we embarked on a mission to find the most qualified realtor and interviewed countless realtors. After interviewing Moni Shah, we knew she was the right person for the job. She did not disappoint! She is very professional, prompt and very knowledgeable in her field. Moni was able to coordinate and work around everything flawlessly. She was able to bring serious offers to the table even with a wrench thrown into the mix from out of the blue (scheduling conflicts & litigation). In the end the timing worked out so well that we sold our home (cash offer) and moved into our new home within a week of selling. If you are looking for an experienced realtor, we highly recommend Moni. She made the experience stress free. I have purchased 5 investment properties through Moni over the past 7 years. I consider her to be my trusted adviser for my real estate investments. She has always gone beyond in terms of service level making sure that all other components (mortgage/escrow/seller's agent) of the transaction are aligned so there are no last minute hick-ups. Moni listened and understood our needs as a family and helped us find the perfect home. She gave honest advice and assessment on the houses we looked at and guided us through the bidding process. She stuck with us through the crazy market, reassuring us that she would help us find our home. When we did, she was truly happy for us. I felt like I had a friend helping me purchase a house. It was a pleasure working with Moni Shah. She was professional in her approach and provided valuable guidance which eased our decision making process. In addition, she connected us with the right lender, when our original lender did not work out. 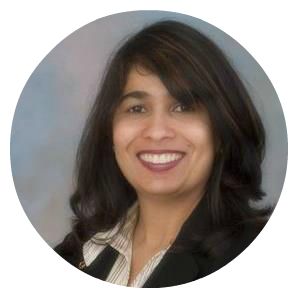 I would recommend Moni Shah to anyone looking for buying or selling home in the SF Bay Area. I really wish there were more stars, because 5 is just not enough to even come close to how awesome Moni is. We got very lucky to happen to meet Moni one day while looking for our first home. We hit it off right away and Moni made great effort to truly understand our needs, our wants, and our deal-breakers when it came to the home we were looking for. The process was grueling due to issues with my Mortgage broker, however Moni held our hand through the whole process. Much of it was very confusing and overwhelming for me and my wife, but Moni always was there to step in and keep the process moving. It was a long 2 months trying to find the right home...we put in many offers and didn't get any bites, but Moni still stood by our side. I think that Moni has raised the bar when it comes to the skills, professionalism and ethics that a real estate agent should have. Thank you Moni for helping us get the home of our dreams! We are forever grateful.